Brew a pot and keep it hot with a thermal carafe. 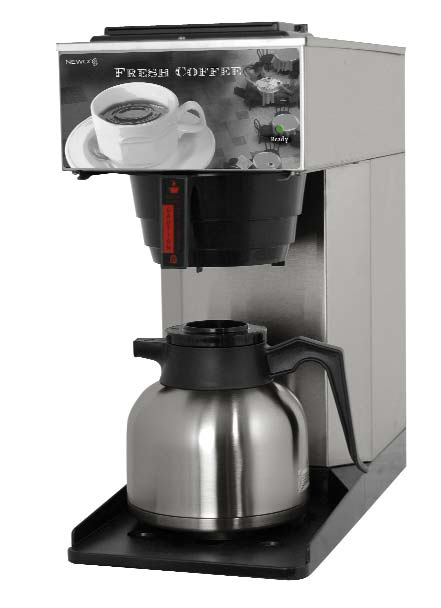 Thermal carafe coffee makers are the perfect option for offices who have employees in and out of the break room and want to keep their coffee hot for hours. Because they automatically brew and shut off, the coffee stays fresh and never develops a burnt taste. Newco designed the ACE series of brewers to satisfy customer requests for a multi-feature specific brewer suited for office environments. ACE-TC models incorporate unique design features that include: a water level detection system that eliminates evaporation, an adjustable brew safety light during brew cycles, and a gravity hot water faucet system that doesn’t alter brewing volume. Introducing Newco’s ACE-D Brewer for Tall Thermal Dispensers. 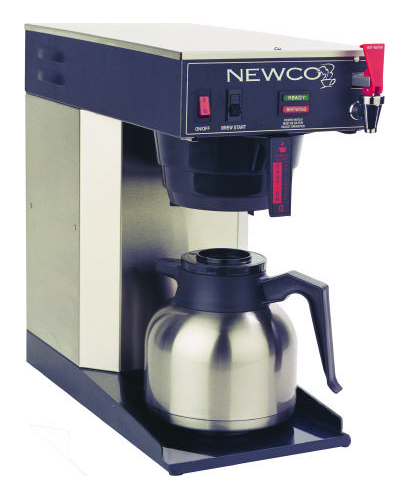 Newco ACE models incorporate benefits that include: a water level detection system that eliminates evaporation short pots, an adjustable brew safety light which flashes during the brew cycle to alert the user the brew cycle is in process, and a gravity hot water faucet system which dispenses hot water while brewing without altering the volume. 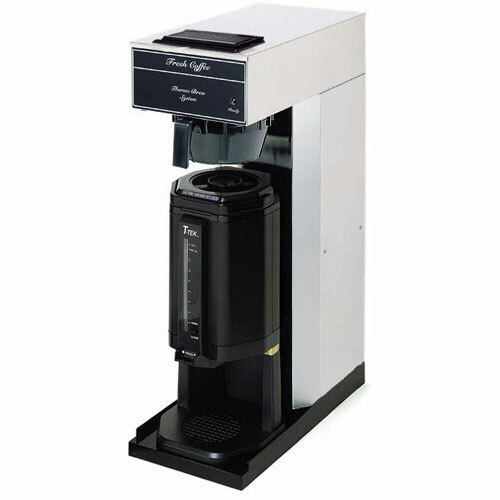 The ACE-LD Low Profile Brewer for Thermal Servers gives your office a sleek, compact brewer, loaded with advanced brewing technology. All features are built into a stainless steel cabinet for long stability and durability. The ACE series is quite versatile and continues to be one of our top sellers. The AK series of pour-over equipment is designed to offer years of trouble free operation while delivering a consistently great cup of fresh, hot coffee with every brew. The flexible brewer family accommodates all of today’s brewing vessels from traditional decanters to the latest thermal dispensers and airpots. The Newco AK series is easy-to-use and designed to last for years while delivering a consistently great cup of coffee with no plumbing required. 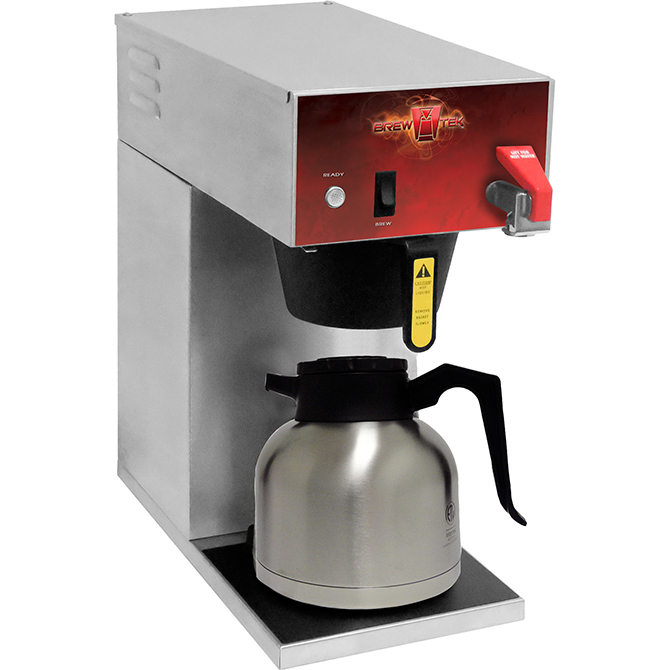 The simple pour over brewer uses a traditional displacement hot water tank system, a ready light for optimum brewing temperature, a master on/off power switch, and a durable stainless steel construction. Also available with (AS) auto-warmer shut off. 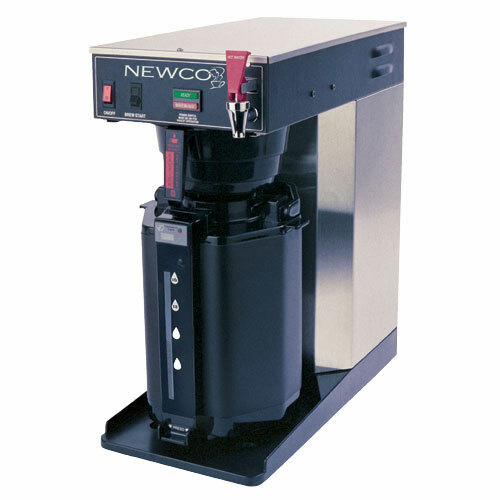 The Newco AK-LD Pour Over Brewer is a low profile dispenser brewer that incoporates “safe base,” a revolutionary design that allows for a perfect lineup of thermal dispensers. The AK series offers both a heat pump model and the traditional displacement tank system. Newco’s AK Series is the next dimension of pour-over brewers. The Brewtek Adjustable Height Thermal Coffee brewer is a dependable, economical, easy-to-use commercial coffee brewer. It comes with a digital display and 3 batch settings. With Bretek, you’ll always get a brewer that shows the quality of their equipment in each and every cup of coffee.